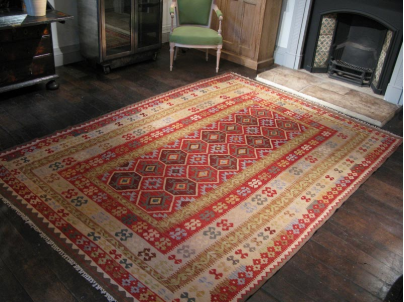 Our fine Moroccan rugs are rich in history and timeless in design. Moroccan rugs were originally woven by the indigenous people of Morocco and varied in composition to suit various climates, such as the icy Atlas-mountains and the heat of the Sahara desert. Unlike today, Moroccan rugs were traditionally woven for practical purposes and were used as sleeping mats, bed coverings, adornments and more. Their ancient designs (which were believed to have been passed down from weaver to weaver) were often an indication of the tribes that made them – Moroccan rugs from Rabat, for example, were famous for their diamond shapes and floral patterns. Today, there has been a growth in popularity of Moroccan rugs, especially amongst interior designers and rug collectors for their richness of character and decorative flexibility. Each piece in our collection has a story to tell and is reminiscent of the colourful days of the past. 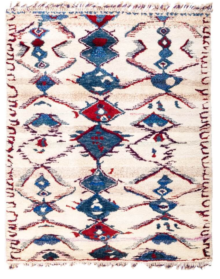 If you’re looking for a beautiful rug that is full of history and easily suits a modern home decor, a Moroccan rug from West End Co. might just be the right option for you. You can view our range of Moroccan rugs here, in our online store, or from our Brisbane rugs showroom.